On Feb 1st,2016, PureVPN users in China began experiencing difficulties to connect with VPN. Therefore, around 60% PureVPN users were affected, according to the data from its email to China users. My VPN account also had a problem and could not get connected, I sent them an email and they replied me saying there were having some problems and their tech staff are solving it. I am worried about this because My daily jobs need VPN to deal with my things. I got a reply in 24 hours and they asked me to use their dedicated VPN server, but there are only a few servers, and the speed is not good enough. But several days later, I found the VPN works fine and all servers can work well. Today PureVPN sent me an email claiming that 90% of their China VPN users are back online. c) Select Purpose as “Optimized for China (recommended)” and connect to any of the available country. If you work with PureVPN on other devices including Mac, iOS or Android), check out this URL: http://pblog.wpengine.com/ or type this URL http://pblog.wpengine.com/. 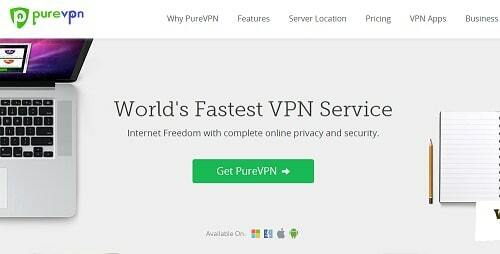 I live in Beijing, China and VPN is my major means (read my VPN reviews for China users) to connect withthe open world, I have used PureVPN in the past 2 years and PureVPN is a reliable and fast VPN service that you should also try. It is cheap and good and has good customer support. You can click the following button to register their service.